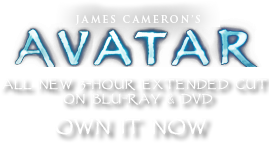 Pole Drums | Pandorapedia: The Official Guide to Pandora | Own AVATAR on Blu-ray & DVD Now! Pole drums are similar to women’s meal mashing poles in that both are played in an interlocking pattern. Some of the poles are played singly. Others are lashed together in pairs of differing sizes. When pounded on the ground, the different lengths of the drum tubes create different pitches. Although a melody is created by the interlocking pitches, the Na’vi do not use these drums to create specific melodies. Function Entertainment during social events or work. Size and Weight Various. Largest are roughly thirteen feet high. Materials and Construction Large tubes made from cleaned, hollowed logs. Adorned with leather, paint, woven materials, rope.